I did very well this year guys, really well. I successfully avoided the Girl Scout cookie invasion. I know. Round of applause for those who have not eaten a thin mint this year. Oh thin mints, those delicious chocolate circles of heaven, how can I even begin to try to replace them? Let's think of something else minty...gum, ice cream, shoes. Ah yes, mint shoes. 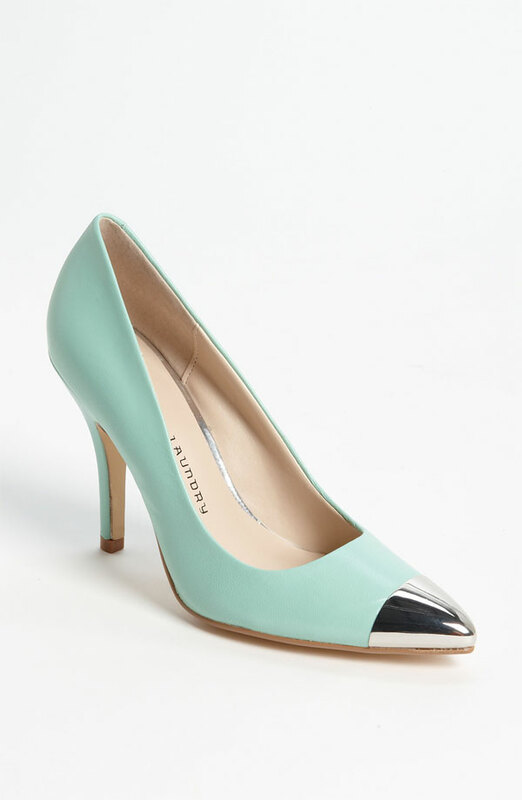 Oh these are amazing, a metallic cap top mint pump. Sorry Girl Scouts, you're not selling anything like these. Check out the embellishment on these beauties. They remind me of a princess slipper. 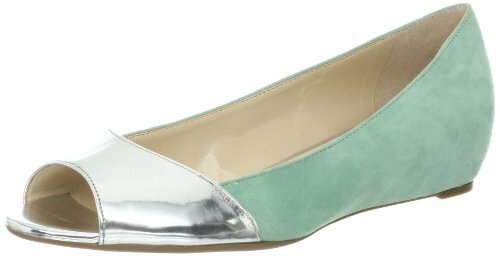 This silver mint colorblock is perfect with a new pedi. There is absolutely nothing wrong with these ballet flats. They are everything you could want in a simple skimmer. Minty things don't always have to add pounds to your waistline. Try mint shoes this season as an excuse to not earn another 'I ate an entire sleeve of thin mints' badge on your vest. Don't judge, we've all been there. I didn't buy one box...That is unheard of. Ha! LOVE that first pair! Loving all these minty picks!